This afternoon, Col (Sel) Weeks spent time at the Prep School to introduce herself to the Preppies as well as give them the opportunity to talk with her one on one. 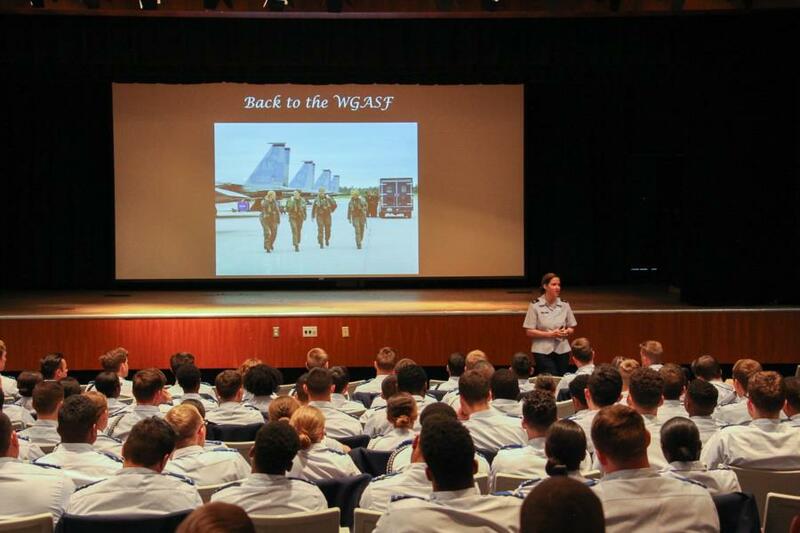 Col (Sel) Weeks is a proven leader in the Air Force, as confirmed with her selection to Col last year - her promotion is due to take place in June. She is a rated command pilot with more than 2 Thousand flying hours in the F-16/F-15C, and has over 100 combat flying hours in support of Operations NORTHERN Watch and SOUTHERN Watch, and Operation NOBEL EAGLE. She has a record of performance in the Air Force and Joint Environments, and has commanded at the squadron level and was recently chosen to command at the Group level for the 57th Adversary Tactics Group at Nellis AFB (reporting later this year). 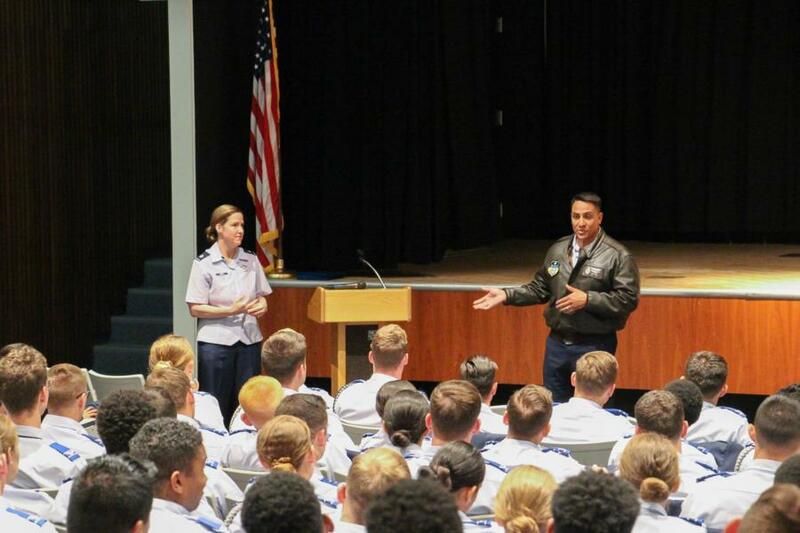 In addition, she’s been a trailblazer in her career, and was selected as the first female “solo” pilot on the USAF Thunderbirds, serving from 2006-2008. 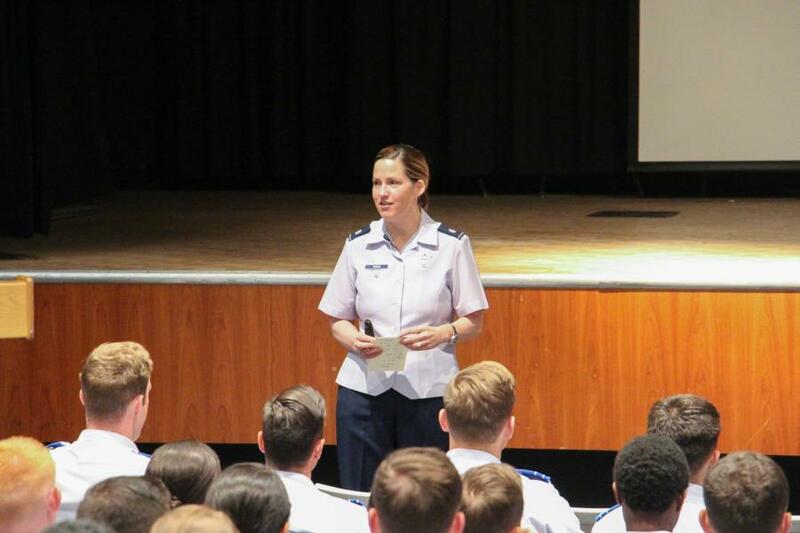 She is also a USAFA Graduate of 1997, and knows the essence of the USAFA/Prep School mission and what it takes to persevere as a cadet. In addition, she is currently an Air Force Fellow, completing her PhD under the Stephen R. Lorenz Fellowship. This is a direct tie-in to one of our PLT Leadership Series we had with Gen Lorenz a few months ago (Lorenz on Leadership). To view the rest of the pictures go to, Classes - Prep School - Prep Life. Or click the link below.